The Peoples Democratic Party, PDP, has urged President Muhammadu Buhari not to spare a thought for the five million votes promised him in Kano by the state governor, Abdullahi Ganduje. This was contained in a statement issued Thursday night by the party’s spokesman, Kola Ologbondiyan in a reaction to the All Progressives Congress, APC Presidential rally which held in Kano yesterday. Describing the promised five million votes as illusionary, the PDP held that if indeed President Buhari is committed to free and fair polls he ought to have cautioned Governor Ganduje to stop making vain promises because the total numbers of voters registered in Kano is not more than 5.5 million. The PDP said President Buhari must have received a shock of his life when he realized that his party, the All Progressives Congress, APC, had to rent a crowd from neighbouring Niger Republic to populate his rally in Kano after the planners could not mobilize enough supporters from the ancient city to attend. “Nigerians watched in amusement as two state governors and a traditional ruler from Niger Republic, who were contracted to hire and ferry in the aliens, struggled for space with APC leaders at the rally. “They saw how the crowd, with strange and conflicting colours, could not connect to calls and speeches by APC leaders, but remained uncoordinated and had to be instructed and prodded to respond at the rally. 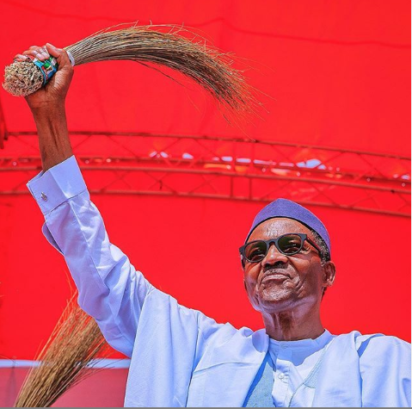 “The world now knows how President Buhari garnered his votes in Kano in 2015 and on what strength his party has been boasting of five million votes in the 2019 elections,” the party further stated.